HDTracks review | What Hi-Fi? How does the pioneer of hi-res downloads fare against its rivals? High-resolution music might be hot property right now, but HDtracks has been pushing better bitrates for music downloads since it launched in 2008. The site offers tracks from CD-quality all the way up to 24-bit/352kHz (only around 70 albums, mostly classical), as well as a smattering of DSD files as well. It launched worldwide in 2013, no doubt partly in thanks to the re-invigoration of public interest into better quality digital music. Alongside 7digital, it’s now arguably one of the most recognisable and established names in hi-res downloads. Unfortunately, it’s not quite managed to nail the website usability and breadth of catalogue to the same level as 7digital. And it seems to be aimed at an older audience, which feels a little short sighted. The albums presented on the HDtracks homepage as new include new releases from the likes of David Bowie, ELO, Enya and Roger Waters. In contrast, a similar section on 7digital also highlights the Bowie and ELO recordings, but alongside 24-bit downloads of Justin Bieber, Bjork and X Factor-winner Ben Haenow, none of which HDtracks even has in its catalogue. For a fan of more current, popular music, HDtracks can look a little off-putting. The website’s design could do with a bit of reconsideration too. It’s not hard to use, just that it isn’t as well considered, with list after list, and link after link, making it quite a lot to take in. The homepage offers various shortlists for things like specially priced albums, genre top picks and bestsellers, while a list on the left allows you to browse by artist, genre, label and more. There’s a separate hi-res section of the site that sifts out all the CD quality recordings so you’re only browsing 24-bit, and unlike on 7digital, you are then able to filter the results by genre, label or sample rate – which is welcome, particularly as its search functionality can sometimes be a little hit and miss. The numbers here would suggest HDtracks offers just over 6,000 hi-res albums, more than half of those at either 24-bit/44.1kHz or 24-bit/96kHz. The number of 24-bit/192kHz recordings comes in at just over 800. Some albums have multiple options as to what sample rate you can download in, usually with a price premium the higher up you go. A choice of file format is offered, with the option of AIFF, FLAC, ALAC and WAV – not possible on a lot of competitors. Remember to click your format of choice before clicking through to buy – the default is AIFF, though if you set your format selection on your account profile it will default to that instead, which is handy. Pricing is on a par with 7Digital, with most albums costing between £12 and £18. What is different is that very few tracks are available for individual purchase, so you have to buy the whole album, even if you’re only interested in a few tracks. Each album page offers up a tab with a bit of background to the artist and album. This was something HDtracks strives to offer with every download, but none of our selections came with them. 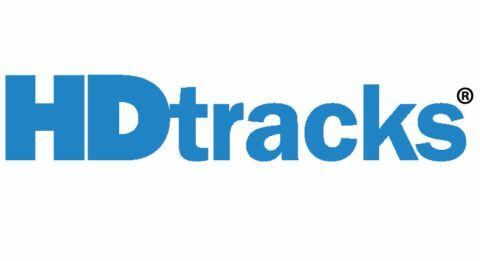 HDtracks recommends its own download manager for your purchases, and it works quickly and easily to deliver them wherever you choose. We went for a 24-bit/44.1kHz recording of Alanis Morissette’s angsty but excellent Jagged Little Pill, a 24-bit/48kHz album from Naim Edge artist Sabina and a 24-bit/192kHz version of ELO’s Out of the Blue. While they all offer strong levels of detail and a much more open sound than your average CD recording, in comparison to some of the competition, we found HDtracks downloads lack just a touch of drive and focus. It wouldn’t stop us using HDtracks – when listened to in isolation, they sound far from lackadaisical, but in direct comparison there is a hint of restraint to be heard against the livelier sounds from 7digital, Technics Tracks and Naim. Whether HDtracks will be for you will depend on your musical taste, and whether having pop’s newest hits in your hi-res collection is top of your wishlist. We wish the site was less cluttered and a little cleaner, but we do welcome its ability to filter down choices, plus the ability to choose your file type will be a draw for some too. However, its catalogue is what lets it down for a wider audience. From our experience, sites like 7digital offer most of what HDtracks does and then some – with the flexibility to buy individual tracks. HDtracks might have done a good job of waving the hi-res flag for some time, but it has a bit of catching up to do to keep up with the best.